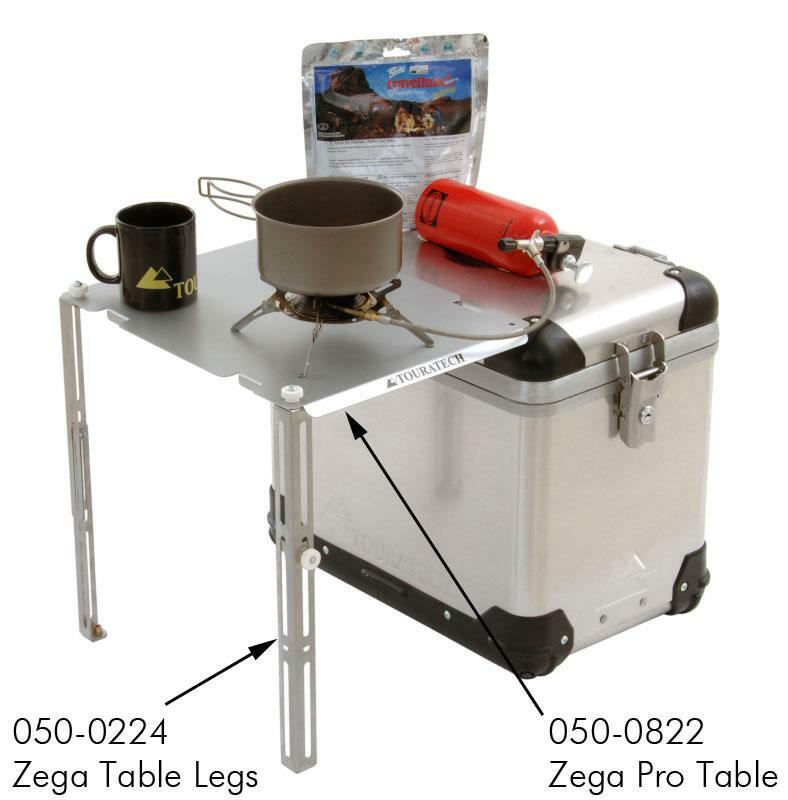 The Zega Pro table can be used between two Zega Pro panniers. This photo shows additional items 050-0224 Zega Table Legs, which allows you to sit on your other pannier. Table spans between two of our Zega Pro Aluminum cases.Designed to fit specifically to the Zega Pro panniers (as in the photo). Part of the fun in adventure travel is to camp where you feel like stopping. This simple, convenient luxury for camping anyplace, anytime is a nice addition to your kit. With this piece of equipment you can also entertain some more guests when traveling. 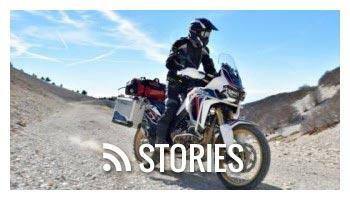 Can be stored easily in your panniers.